HOUSTON (KTRK) -- It was a tearful reunion Wednesday between a young woman and the lost dog she thought she'd never see again. 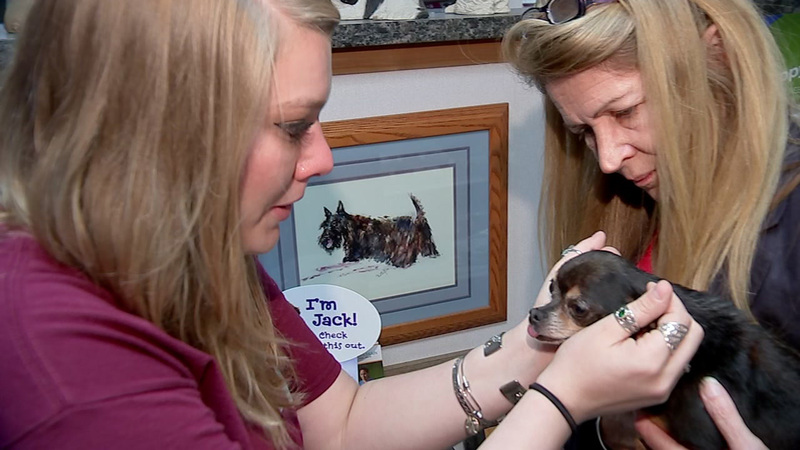 An emotional Addison Wallace held her chihuahua Bruno in for the first time in two years. An animal rescue group recently picked up the dog in the Westbury area. He'd been hit by a car, and a trip to the vet revealed a microchip with Wallace's contact information. Wallace says she never stopped thinking about bruno. "For the last 2 years I was like what if, what if. We've had floods here. What if he drowned? What if he froze to death? That is the worst feeling as a pet owner to have," Wallace said. Bruno has a broken leg, and Wallace is raising money for surgery. She urges everyone to get their pet microchipped.